How Much Compensation Can I Claim For A Tesco Accident? No matter whether you work at Tesco or you regularly do your shopping there; there is always the chance you could get injured. Of course, such instances are rare, and we all expect Tesco to uphold their legal responsibility to provide a safe and healthy environment for both the public and their employees. However, accidents do happen, such as slipping on an unmarked wet floor or being involved in a car park accident. If you have been injured while at Tesco and the incident was not your fault, it is important to know that you will be eligible for compensation. For more information about Tesco accident compensation claims and getting the payout your deserve, read on. What is an accident at Tesco? I had an accident while shopping at Tesco can I get compensation? I had a car accident in a Tesco car park can I claim? What can be claimed for after an accident in Tesco causing injury? How much compensation will I get after an accident at Tesco causing injury? Why choose us as your claims service for making personal injury claim? Accidents and injuries can happen at any supermarket, and Tesco is no different. There are many Tesco stores around the country. At the time of writing in 2017, there are 3,433 Tesco stores across the UK, including Tesco Extra stores, Superstores, Express stores, Metro stores, and One Stop stores. If you have been injured while on Tesco premises, be it in-store or outside in the car park, there is a very high chance that you will be entitled to compensation, and this is something we discuss further in this guide. You will find out everything you need to know in order to make a claim, including information on eligibility, how to make a claim, average Tesco compensation payouts, Tesco accident at work compensation case studies, slipped in Tesco compensation claims, and much more. So, what constitutes as an accident at Tesco? This is simply any type of incident that happened on Tesco premises. This could be in-store, in the car park, at an adjoining petrol station, or in the warehouse. So long as the accident happened on Tesco’s premises and it was not your fault, you have a strong basis for making a personal injury claim. If you have been the victim of an accident that happened at Tesco, it is wise to take the necessary steps to collect as much evidence as you can. This will help you to build a strong case. Don’t worry if you cannot fulfil all of the steps mentioned below, but do try to do what you can. Medical report – There is only one place to begin, and this is by seeing a doctor. Of course, if you have been seriously injured, you will have had no choice but to see a doctor. However, some people with minor injuries try to skip this step and cope with their injuries by themselves. After all, we don’t all like a trip to the doctor! Nonetheless, it is important to see a medical professional, not only for your health, but also for your case. When you see a doctor, he or she will put together a medical report, which outlines the injuries you have, the impact they are going to have on your life, and the recommended treatment. This will be used to determine how much compensation you will receive, and so it really is important. Proof of costs encountered – When someone sustains an injury, it can often result in a lot of knock-on costs. For example, you may have suffered financially due to a loss of income because you have not been able to work while you recover. Perhaps you have needed to pay for childcare, as you have not been able to look after your children due to your injuries? Or, maybe you had to pay for counselling to help you deal with the emotional impact of the incident you were involved in? So long as the expenses has happened as a direct consequence of your injuries, you will be able to claim for it, but do make sure you keep proof to back up your claims. Witness contact information – Did anyone witness the accident you were involved in? In most supermarket accident cases, there are witnesses, and it is important to get their contact information. This is because witness statements can really help to strengthen your case. You should get the person’s name, address, telephone number, and email address if possible. Photographic or video evidence – If your injuries are visible, it is a good idea to take photographs. You should also take photographs or a video of any damage to the scene. It is likely that Tesco will have CCTV cameras in place, and using these may be an option to boost your case too. Report it – If you are a Tesco employee and you have been injured while at work, you need to report the incident so it can be recorded in the Tesco accident book. Make notes – Finally, it is a wise idea to make notes of what happened as soon as you get the opportunity. Go into as much detail as possible. This will make sure nothing slips your mind later down the line when it comes to launching a claim. Beginning a Tesco accident claim is easy – all you need to do is give us a call. You will speak to one of our friendly and experienced advisors, who will be with you every step of the way. They will talk you through the Tesco claims process, and they will begin the session with a free consultancy. This is designed to help us understand exactly what has happened so that we are able to help you in the best possible manner. If required, we can also arrange a local medical for you. We handle all of our cases on a No Win No Fee basis. This means that you can make a claim irrespective of your financial situation. This is because you are only going to need to pay legal fees if your case is a success, otherwise you won’t need to pay a penny. You can find out more information about the No Win No Fee payment structure towards the end of the guide. Have you had a slip in Tesco due to an unmarked wet floor? Perhaps an object fell on your head while you were walking around the supermarket? Not matter what happened; so long as the incident was not your fault, you will be able to claim for compensation. Aside from this, it is important that you have seen a doctor for your injuries and that the accident happened within the last three years. If all of this applies, simply give us a call and we will ensure you get the compensation you deserve. 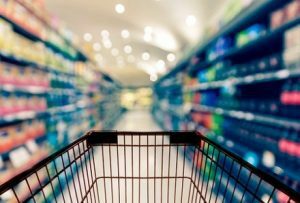 We do not only launch Tesco accident claims for people that have been shopping at Tesco, but we have also secured compensation for people that work at supermarkets around the country too. Supermarkets may not appear the most dangerous of places, but accidents can happen at any workplace, especially when employers do not uphold their legal responsibility to provide a safe and healthy environment. If you are not sure as to whether your employer is to blame, all you need to do is give us a call and we will shed further light. Perhaps you are worried about making a claim against your employer because you fear that there could be repercussions for you? This is something you really do not need to worry about. All employers are required to have insurance in place by law, which will cover such incidents, and so the payout will come from the insurer’s pocket – not your employer’s. Moreover, if your employer were to fire you or take any sort of action due to the claim, they would only find themselves in further trouble, as this is against the law. You may also be wondering about the accident at work claim time limit. This is three years, as is the case for all personal injuries. You must launch court proceedings within three years of the accident date. However, if your injuries have happened over time, and you cannot pinpoint an accident date, you will have three years from your diagnosis instead. Irrespective of whether you want to launch a back injury at work claim, a fall from a height claim, or any other type of work accident claim, give us a call to get started. Out of all of the supermarket accident claims we handle, slip, trips, and falls are definitely the most popular. This is because slips, trips, and falls can happen in many different ways – from a fall in Tesco due to a misplaced obstacle, to tripping due to a pothole in the car park, to incidents involving people that have slipped on water in Tesco. No matter what has occurred, so long as you are able to prove that the accident was not your own fault, you will be entitled to a payout. As mentioned earlier in the post, you can claim for any type of accident that happens on Tesco premises. This includes accidents that happen in the car park. However, not all car park accidents will be made against Tesco. For example, if another driver crashed into you while they were parking, you will make a claim against the driver. However, if you were injured due to a pothole or uneven surface in the car park, then you will launch the claim against Tesco. If you are unsure who is to blame, don’t worry. Simply give us a call and we will be happy to shed further light on this. * If someone has looked after you during your recovery, i.e. helped around the house, they can launch a care claim. ** General damages are designed to cover the pain and suffering you have encountered. Injuries caused by faulty escalators, doors, and lifts. Injuries that have happened because of products that have been misplaced and therefore obstructed a person’s path. A slip, trip, or fall due to a spillage or wet floor. Accidents that have been caused because a product is faulty. Injuries that have happened because a member of staff has been negligent. Injuries caused by a fall in the car park because of an uneven surface or pothole. Injuries due to falling objects. Cuts from fixtures or shelves that are damaged or defective. How much compensation will I get? – This is a question we are often asked. Of course, we would ask the same thing too if we were making a claim! However, it is impossible to give you an accurate answer to this question. If any other lawyer promises you ‘x’ amount, please don’t bank on it. Every single personal injury case is different. There are so many factors that are assessed when determining a payout amount and, therefore, it is simply not possible to provide you with a definitive figure beforehand – no matter what anyone else says. We know that there are also calculators available online today, which claim to calculate your payout amount. Again, an accident at work claim calculator or a slip, trip or fall calculator can only provide an estimate – and a very rough one at that. There is no way of giving you an accurate figure. So, what we have done instead is provide you with an overview of the average payout amounts for injuries associated with supermarket accidents. If you cannot find the injury you have sustained in the table below, please do not hesitate to give us a call and we will shed further light on average claim amounts. Minor shoulder injuries Up to £6,000 At the higher end of the payout bracket, we have cases whereby the person’s recovery takes up to two years. At the lower end of the payout bracket, we have cases whereby the person’s recovery takes up to three weeks. Moderate shoulder injuries £6,000 - £9,700 Most of these cases involve frozen shoulders whereby the injury victim experiences very limited movement and a lot of discomfort. Symptoms will be on going for a number of years. Serious shoulder injuries £9,700 - £14,600 This payout bracket is designed for shoulder dislocations, which also involve damage to the lower section of the brachial plexus as well as serious neck and shoulder pain. Severe shoulder injuries £14,600 - £36,500 Severe shoulder injuries are those that result in disability. Minor neck injuries Up to £6,000 There are many factors that are considered when determining the payout amount. This includes: how the injury is impacting the person’s everyday life, the symptoms they are experiencing, the pain and the consistency of it, how severe the injury is, what treatment is required, and whether medication is needed. Moderate neck injuries £6,000 - £29,250 At the higher end of this payout bracket, we have injuries that cause severe immediate symptoms and could lead to spinal fusion, for instance, fractures and dislocations. At the lower end of the scale, most cases involve injuries that have had an impact on existing conditions – causing them to become much worse. Severe neck injuries £34,575 - £112,750 The highest payout is for cases of incomplete paraplegia or permanent spastic quadriparesis. At the lower end of the payout scale, cases involve fractures, dislocations, ruptured tendons, and soft tissue damage. Damage result from a traumatic injury - moderate £5,000 - £9,575 Serious seat-belt pressure cases. Such incidents can happen when there are crashes in the supermarket car park. Damage result from a traumatic injury - serious £12,750 - £21,100 Long standing complications that have been caused by a serious, non-penetrating injury. Damage result from a traumatic injury - severe £32,700 - £47,050 Constant pain and discomfort that has happened through a severe injury. Pain and suffering £1,000 - £200,000 The payout you receive will be determined based on the amount of pain and suffering you have been subject to. Loss of anticipated earnings £10,000 - £400,000 You can claim for loss of anticipated earnings if you need to be off work while you recover. In some cases, you can receive more than the maximum amount stated in the column to the left. Loss of benefits £5,000 - £500,000 Injured at work do I get paid? If not, you can claim for any earnings you have actually lost already. In some cases, you can receive more than the maximum amount stated in the column to the left. Every case we take on is handled on a No Win No Fee basis – this includes accident at work No Win No Fee cases and cases involving those simply shopping at Tesco. This means that you will only ever need to pay legal fees if your case is successful. This gives you monetary protection and complete peace of mind when launching a claim. After all, the last thing we want to do is add to your stress by giving you financial worries on top of everything you are experiencing at present. Instead, we only take on cases that have a genuine chance of being awarded Tesco compensation, and we give you the security that you don’t need to pay a penny if we aren’t successful. If you have any further questions and need to speak to someone from our Tesco accident helpline, or you are ready to start a claim for compensation, please call our Tesco accident claims number today on 0800 073 8804. We are ready and waiting to help you get the payout you deserve. This takes you to the NHS condition, symptom, and treatment checker. Here you will be able to diagnose your condition and find useful information on how to treat it. This link is useful because it helps businesses to take the necessary steps to reduce the risk associated with smooth floors in supermarkets. This links takes you to advice provided by the government regarding health and safety in the retail industry. It is useful for any business owner or any individual that wants to know what a business’ obligations are.